The past twelve months have marked incredible growth for our region. We are so proud to be working with so many passionate and driven entrepreneurs who are committed to strengthening our economy, one business at a time. As we plan for the coming year, we always appreciate pausing to look back at the big wins we earned as a team. Together, we were able to serve over 1,000 clients with flexible financing, expert business advising and leadership development training. Our team has grown, and with a grant from the U.S. Small Business Association, we opened a second Women’s Business Center in Little Falls, Minnesota. This new space allowed us to expand the offerings of our Women’s Business Alliance so we can provide additional resources for women business owners throughout Minnesota. 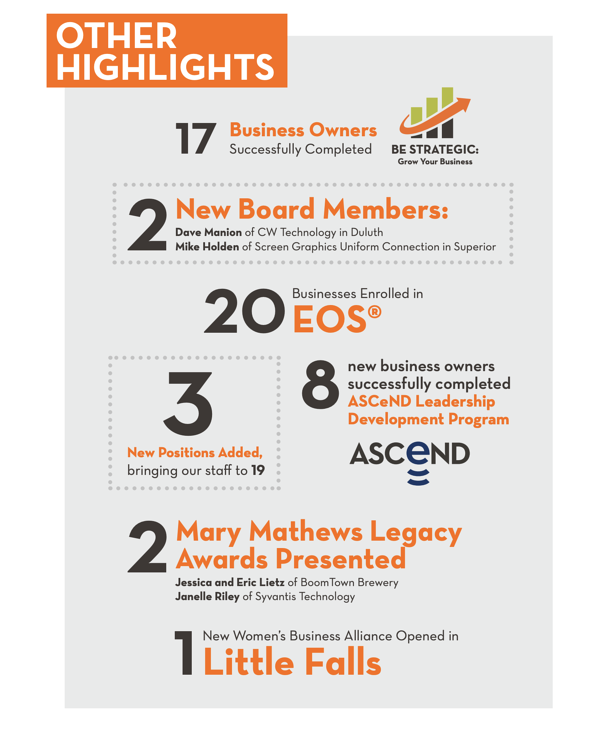 We’re very proud of the work we accomplished to support entrepreneurship in our region. 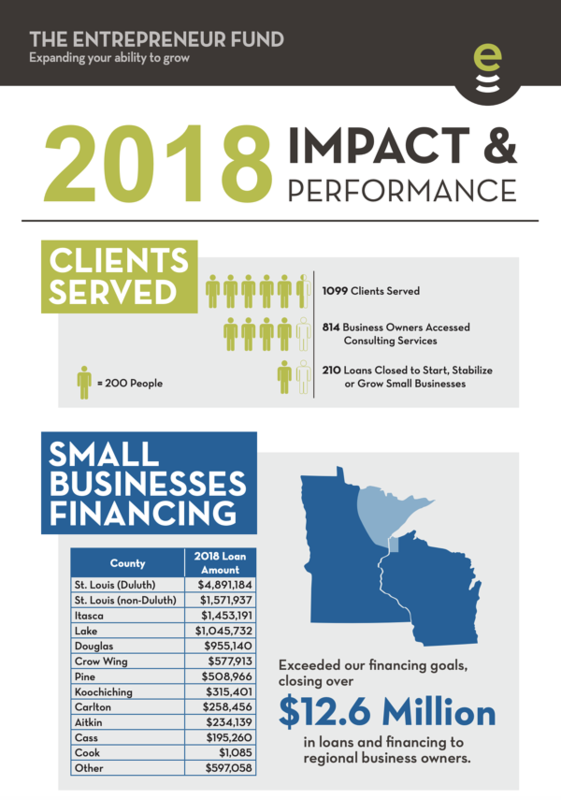 Check out our 2018 Impact Report below.